The food business is so stupidly stupid that it brings most people to their knees. We sold our coffee company to a seemingly brilliant business man who turned out to be a complete psychopath. He also raped and pillaged the business and left it dying and spastic on the sand after gutting it for maximum profit and flipping it for 3x what he paid us for it. The food business makes no sense whatsoever. You can spreadsheet it to death and never plumb its mysterious depths. The actions you would take in a normal business don’t work in the food business and usually backfire. Sure they work in non food businesses like fast food, crap beer and crap coffee but they don’t work in the food business, they work in the business of food. I feel that this subject deserves at least 42 hours of continuous effort, writing, editing and diatribing. Unfortunately I only have 30 minutes to write this before my self-imposed deadline of 30 blog posts in 30 days deadline slams down upon my virgin, quivering neck with quiet violence. Quivering is a stellar word. Joy Division is blasting my ear drums out as I type this in the Congress hotel in Tucson Arizona. It’s so dry I’m starting to mummify. I have been attempting, horribly, to speak in Spanish all freaking day. I am a natural language adapter, but not a natural language studier. Spanish is easy compared to the lunacy that is english. But I learned english by full immersion at age zero. I highly recommend this method BTW. 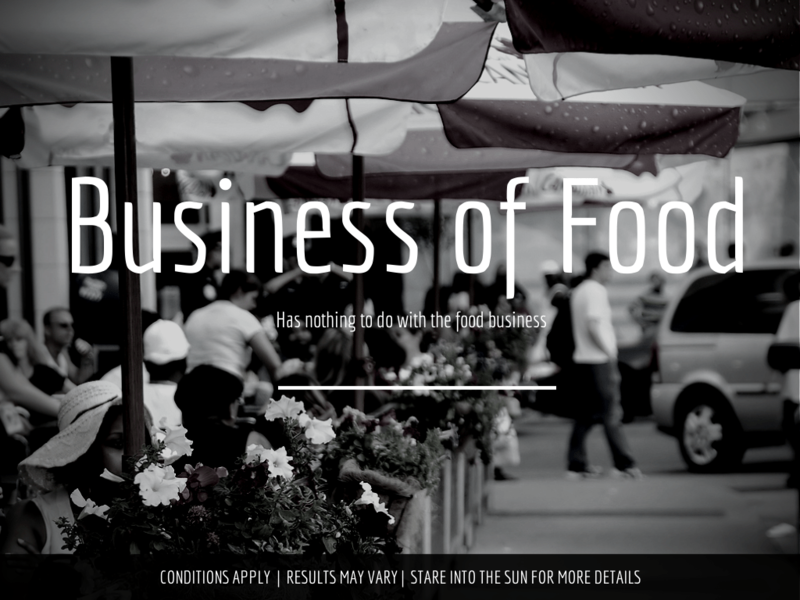 The food business is not that hard to do. Unless you want to do it well. The best make it look effortless, the rest of us make it look like the most horrific job in the world. It is both. Magic and mayhem. I never claimed to have done it well. I only claimed to have given it my all. What else can you ask for besides more of that? Luck : Were You Born With It Or Was It Mabeline?